Your front door is usually the main entry point to your home, which means it can take a lot of abuse. Constant opening and closing, sometimes with your foot or that box your holding, can take a toll over time. Luckily most doors from quality door manufacturers (like us!) are built to last a really long time. Even the best doors will eventually need to be fixed or replaced though. 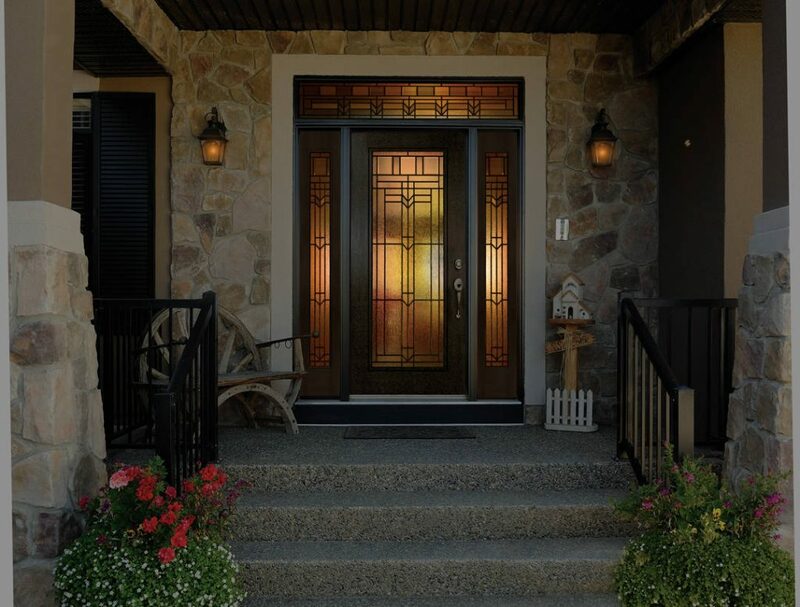 If you’re not quite in the market for a new door yet, there are a few repairs you may be able to tackle to lengthen the useful life of your door while you ponder a fresh new look for your entryway. Should You Attempt Front Door Repair? We install a lot of doors, and that means we see a lot of doors that are beyond repair. It’s possible you may not be able to repair your door, and it’s just time to move on rather than spending the time or energy fixing your door. For more information you can check out our article on how to tell when it’s time to replace your doors and windows, or simply give us a call. Whether or not you can repair your door really depends on what the problem is. If your wood door is rotten, your steel door has severe dents, they may be beyond repair. If your door casing (the frame around the door) is rotten, you may not require a new door, but the repair may go beyond a simple DIY job. There are several repair items you can tackle yourself, and many won’t take very long, or specialized tools. Painting your door could also be a regular maintenance item, but if you have a metal door with lots of scratches, or an old wood door, a coat of paint can help extend its life. Not only will the paint cover up any blemishes, it will act as a barrier against the elements. Door hardware can take a beating. Locks become stiff or unusable, handles break, and latches wear out. Simply replacing your door hardware can extend the life of your door if its in otherwise great shape. If you have a wood door with a gouge or dent, or even a small hole, you can usually fix it with a little wood filler. If your door isn’t painted, you’ll want to pay extra close attention to the tint of the wood filler, as paint won’t save a mismatched tint. A couple major issues can pop up from old door hinges: front door alignment may be off making it hard to open and close, or your old hinges may become rusty and need to be replaced or oiled. Sometimes you just need a little oil, but in the case of door alignment, it can be more complicated. If your door is out of alignment, you may be able to tighten screws or make a few adjustments, but the casing may nee to be replaced or repaired if the screws are no longer holding. In most cases, and squeaky door can be fixed with a little lubricant. However, you’ll want to take note of where the squeak is coming from. If the door is out of alignment, and the squeak is from rubbing parts, you may need to follow the tips above. Lastly, sometimes the weatherstripping will deteriorate or shift causing drafts. This is really easy to replace and usually only involves a screwdriver and maybe some adhesive depending on your door. Replacing the weatherstripping will also help your energy bill! As always, contact us if have any questions about repairing your door, of if you’re not sure if you need a replacement. Our experts are always standing by ready to help.